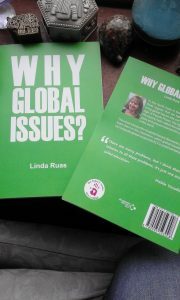 We are happy to announce that the new book of GISIG Joint Coordinator Linda Ruas is now available in both paperback and electronic formats. The best thing about it: all author royalties plus a contribution from the publisher, Academic Study Kit will go to GISIG-related projects to support and train volunteer teachers of English in refugee camps. Get your copy today! A teacher by profession, but working as a training coordinator in Nepal English Language Language Teachers’ Association (NELTA), I am interested in this topic. There are gender issues in Nepal so I look forward to hearing from you, if there is anything I can contribute on it. Dear Sarita, – I’m so sorry I missed this before – I’d love to talk about this. Could you email me at gisig@iatefl.org and we can discuss?